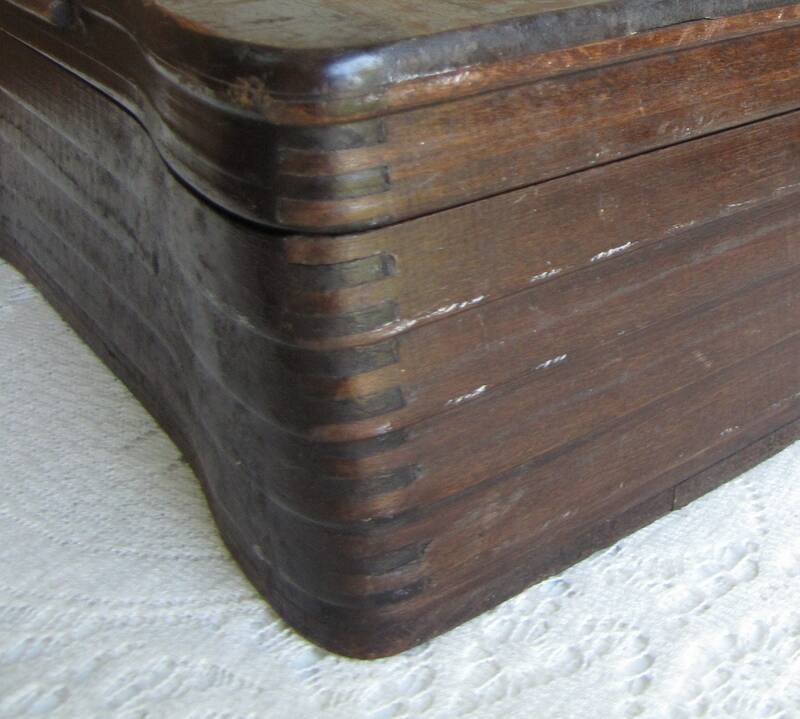 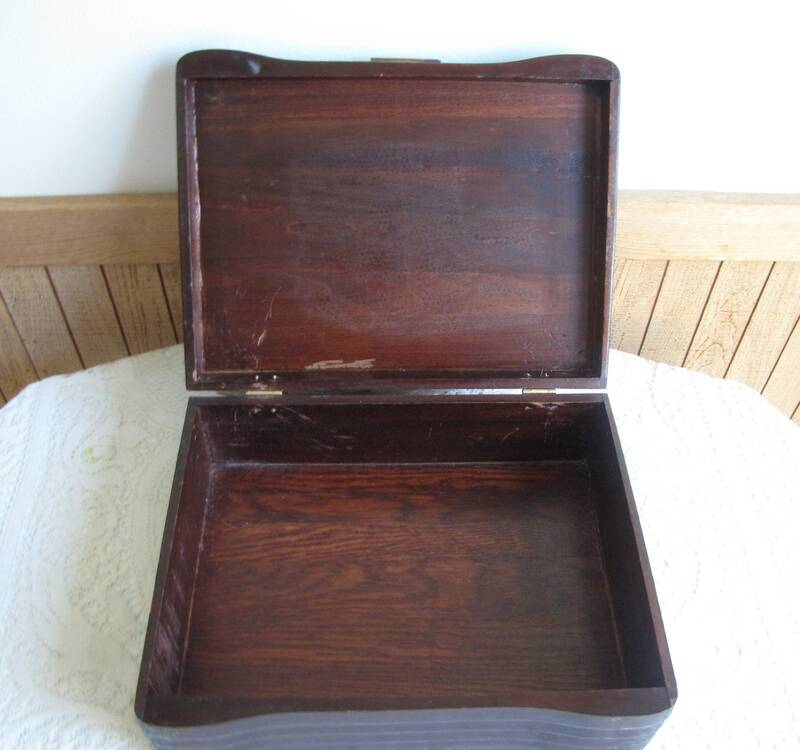 This is a good size (maybe called large) wooden box with dovetailed edges; the one in front are rounded. 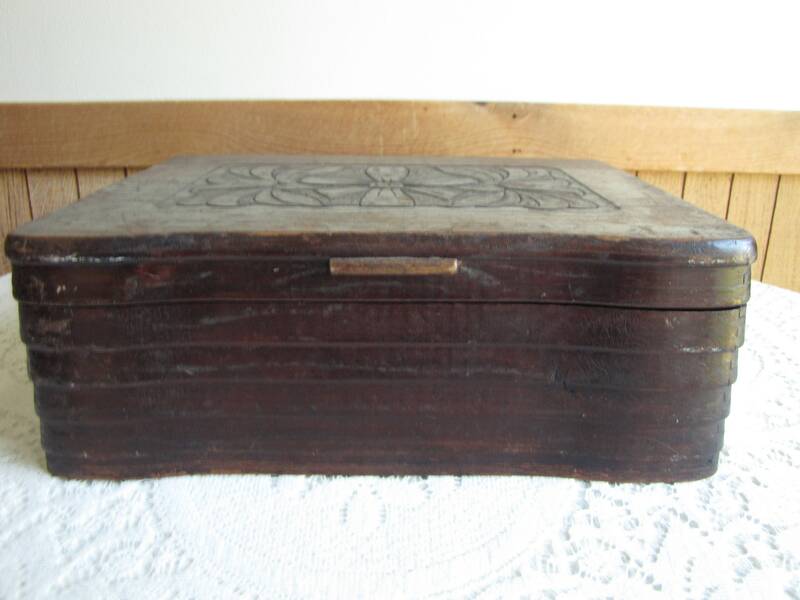 The box is beat up, but in very good condition with no major issues. 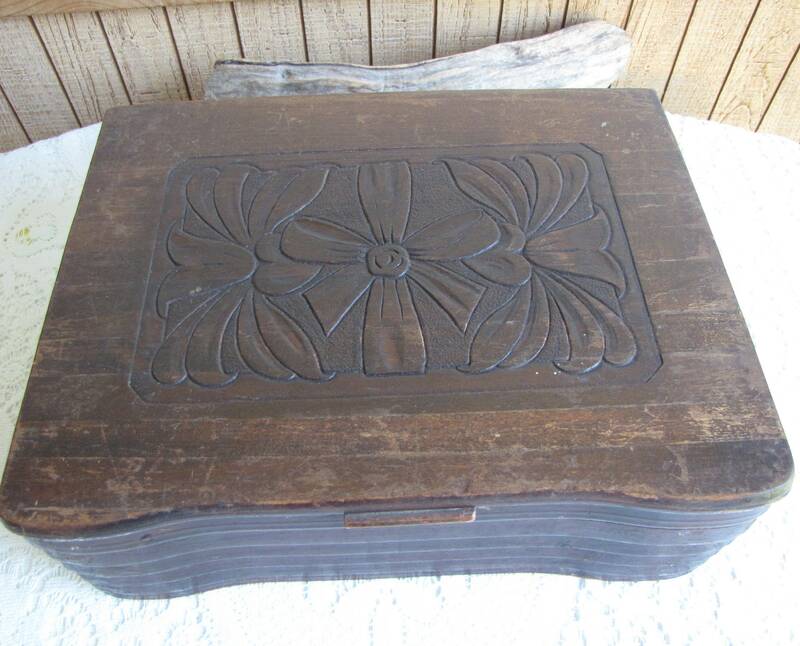 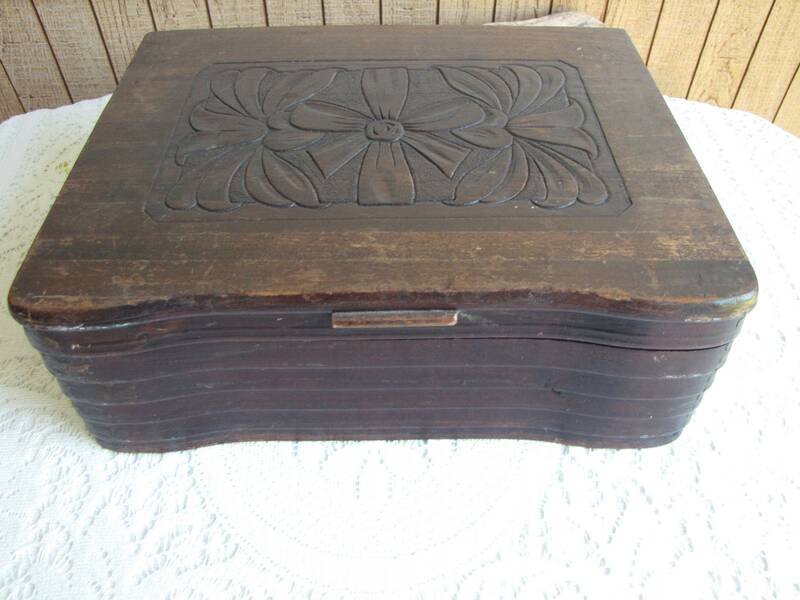 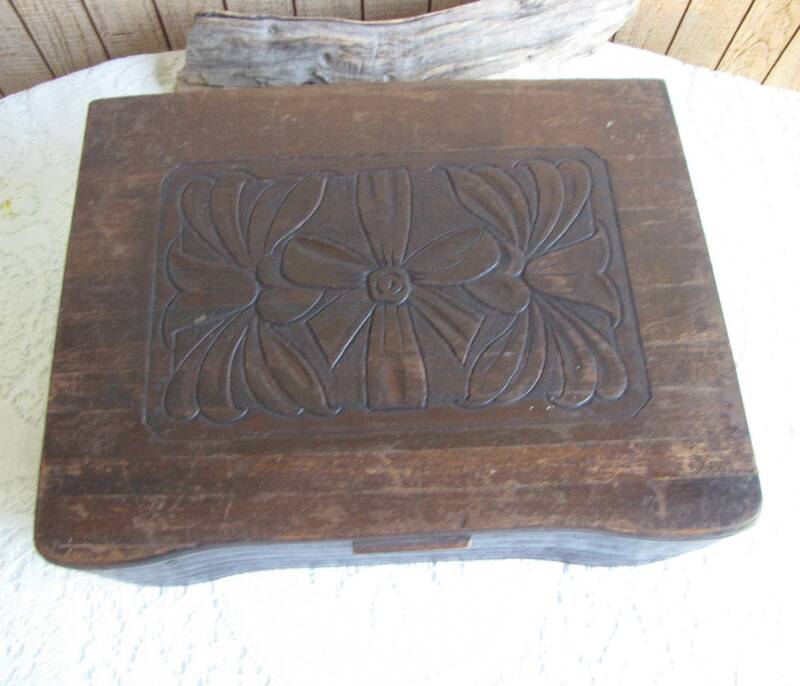 The hinges are newer and top is carved with flowers and a bow. 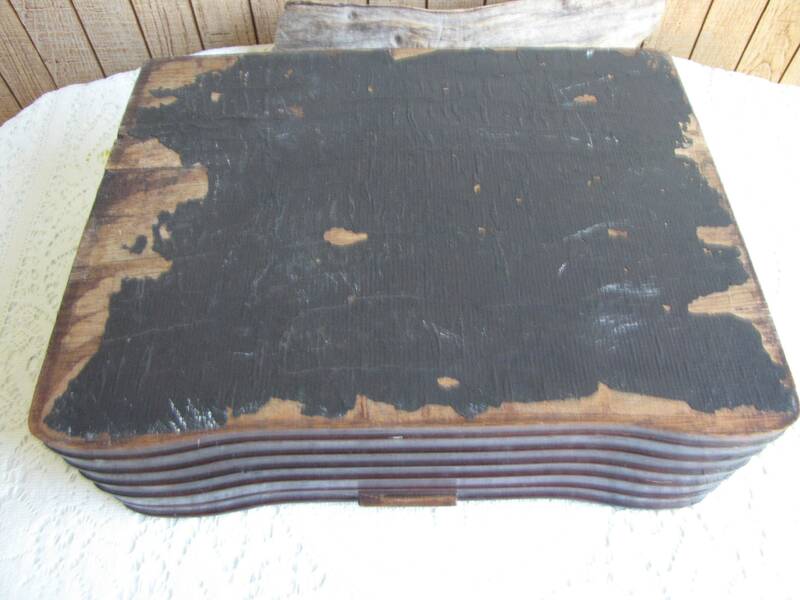 The bottom of the box was at once time covered with some type of paper and that has started to come off. 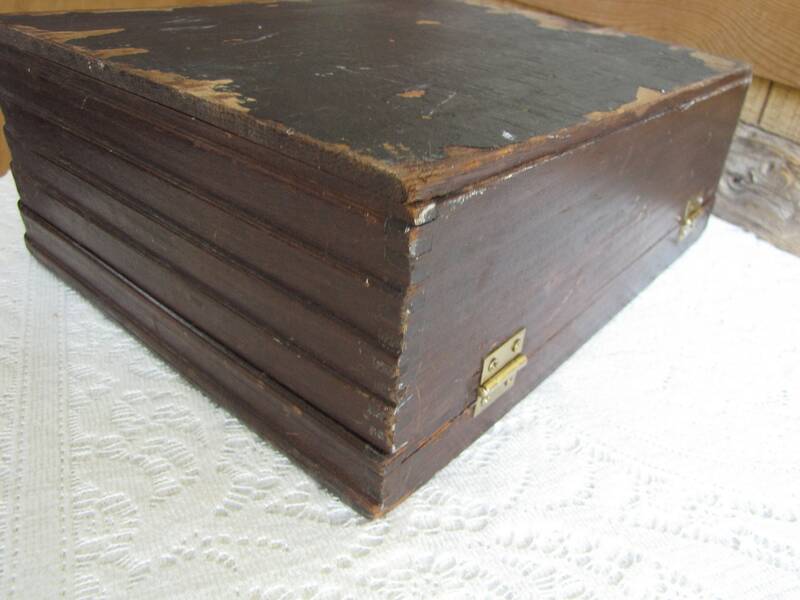 The box measures 4.5 inches tall and is 12.5 x 9.5 inches. 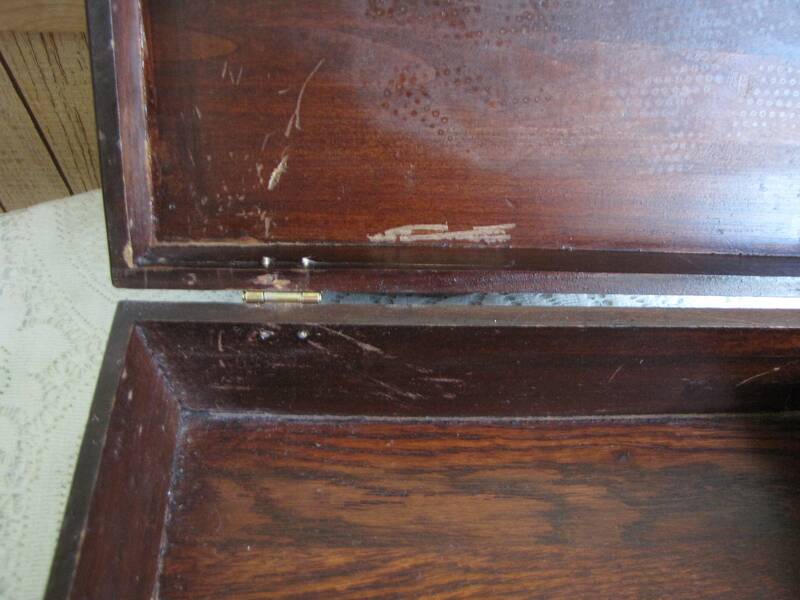 The inside condition is pretty good; one area of scratching and the top inside has an imprint of maybe a wet cloth? 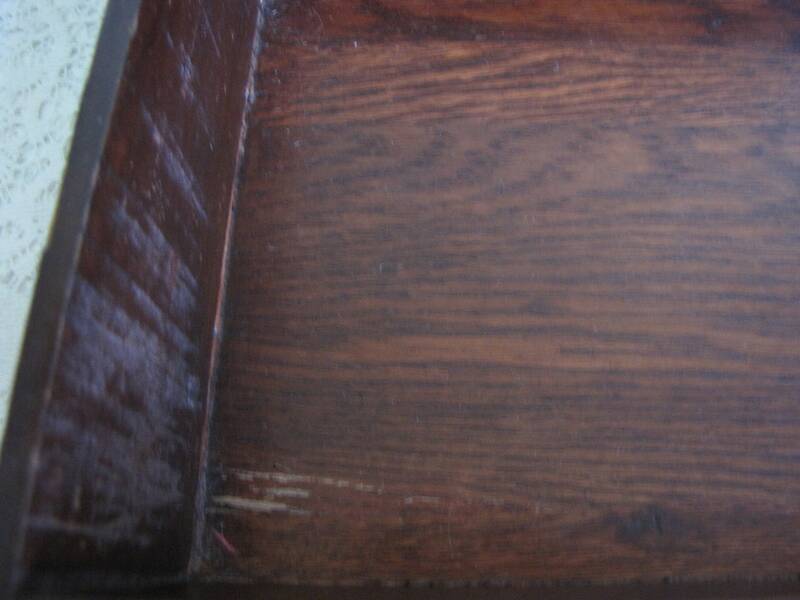 Or a mirror was once there?